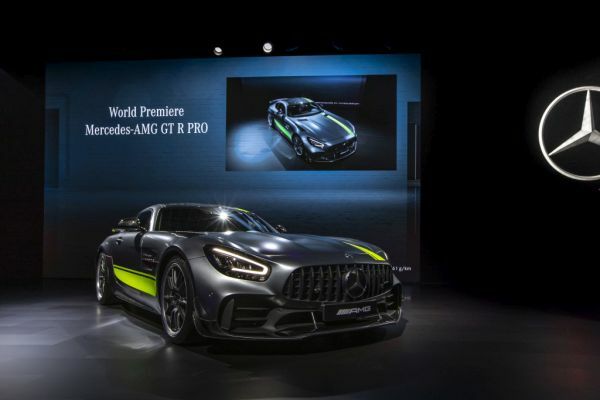 The world premieres of the limited-edition special Mercedes-AMG GTR PRO model (combined fuel consumption: 12.4 l/100 km; combined CO2 emissions: 284 g/km)[i] and the revised Mercedes-AMG GT model series were the centrepiece of the Mercedes-Benz presentation at the 2018 Los Angeles Auto Show. 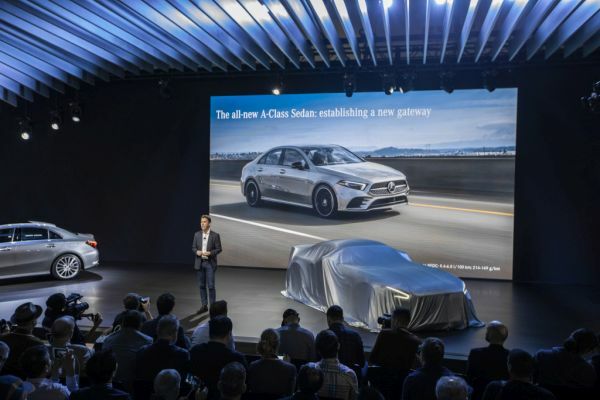 Other highlights for Mercedes-Benz included the US show premieres of the new GLE premium SUV, the A-Class Sedan and the Mercedes-Benz Sprinter. The new Mercedes-AMG GT R PRO celebrated its world premiere. Numerous features of the high-performance sports car have been modified for even better racetrack performance: the optimised specific power, the new suspension, the aerodynamic fine-tuning resulting in even more downforce overall, lightweight-design bucket seats and lightweight-design wheels contribute to the enhanced driving dynamics and faster lap times on the racetrack. 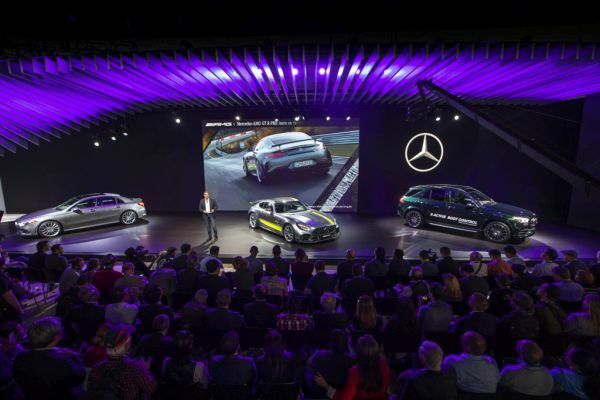 The revised Mercedes-AMG GT series was also presented to the world public for the first time. In addition to exterior updates, the two-door AMG GT Coupés and Roadsters will be fitted with the AMG DYNAMICS integrated driving dynamics control system for added agility, the new AMG Performance steering wheel, the centre console with innovative display buttons from the AMG GT 4-Door Coupé (combined fuel consumption: 11.3-9.4 l/100 km; combined CO2 emissions: 257-215 g/km) and a fully digital instrument display with exclusive AMG combined “Superport” display style. "No other production model by Mercedes-AMG is currently as close to motor racing as the new AMG GT R PRO. Extensive experience from our current GT3 and GT4 motorsport activities went into its development,“ says Tobias Moers, Chairman of Mercedes-AMG GmbH. 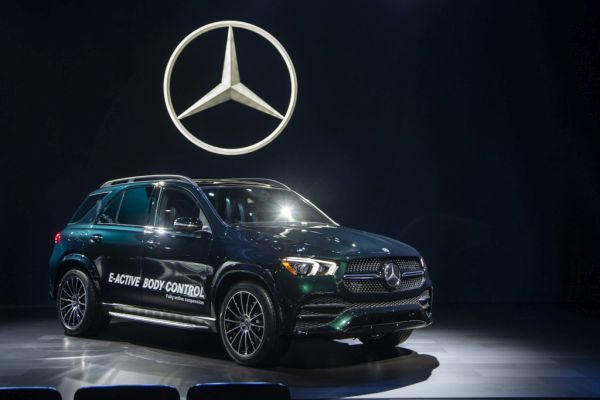 The new Mercedes-Benz GLE has a wealth of innovations. For example, the active suspension system E-ACTIVE BODY CONTROL on a 48-volt basis is a world first. While the driving assistance systems take another step forward with Active Stop-and-Go Assist. The interior is even more spacious and comfortable, with a third seat row available on request. The infotainment system has larger screens, a full-colour head-up display with a resolution of 720 x 240 pixels and the MBUX Interior Assistant, which can recognise hand and arm movements and supports operating intentions. The exterior design not only exudes presence and power, but also sets a new standard for aerodynamics in the SUV segment. Also in the US show limelight for the first time was the Mercedes-Benz A-Class Sedan. The four-door sedan car has a wheelbase of 2729 millimetres and the proportions of a dynamic and at the same time compact sedan car with short overhangs at the front and rear. It is at the top of its segment with regard to rear headroom. In addition, the sedan model has the familiar A-Class virtues. These include modern, efficient engines, a high level of safety thanks to state-of-the-art driving assistance systems with S-Class functions, and the intuitively operated and learning MBUX – Mercedes-Benz User Experience infotainment system. “The A-Class Sedan is the highly anticipated new gateway to the Mercedes-Benz brand,” explained Dietmar Exler. 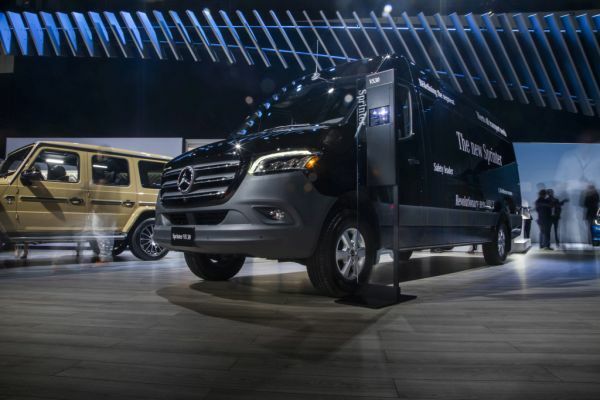 The third US show premiere in Los Angeles was that of the new Mercedes-Benz Sprinter. As the first fully networked system solution, the third generation of the Sprinter embodies the development of the business unit from purely a vehicle manufacturer to a provider of end-to-end transport and mobility solutions. Hallmark design, safety features at a very high level, maximum economy, customer and sector-oriented details and connectivity that takes infotainment systems and telematics applications into a new era. “With a variety of different body styles, we can offer over 1,700 unique configurations to meet every need,” said Dietmar Exler. “For the first time, it’s proudly assembled here in the U.S. at our new state-of-the-art facility in Charleston, South Carolina." Alongside the Mercedes-Benz G-Class, additional highlights at the 2018 Los Angeles Auto Show were provided by its high-performance variant from Affalterbach, the G 63 (combined fuel consumption: 13.1 l/100 km; combined CO2 emissions: 299 g/km) i and three other Mercedes-AMG models the E 53 4MATIC+ Coupé and Cabriolet (combined fuel consumption: 8.9-8.7 l/100 km; combined CO2 emissions: 204-200 g/km)i und the CLS 53 4MATIC+ ( combined fuel consumption: 8.9-8.7 l/100 km; combined CO2 emissions: 203-200 g/km) i.
BMW at the Los Angeles Auto Show 2018. BMW and new joint venture Critical TechWorks at Web Summit 2018 in Lisbon.